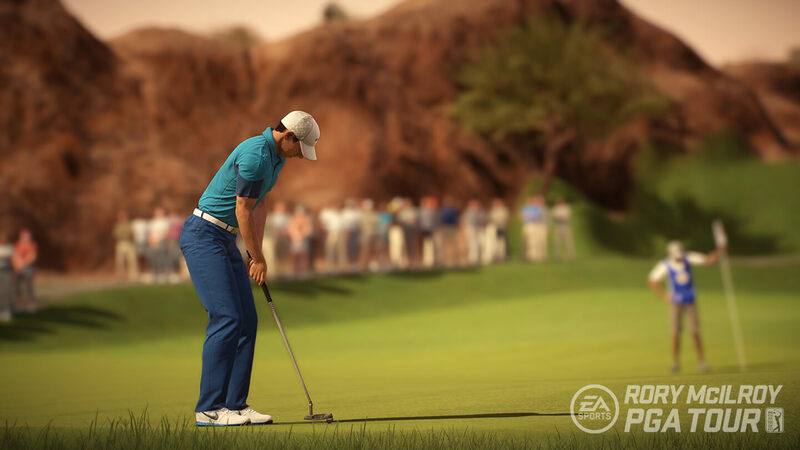 Any EA Access subscribers with plans for a round of golf in EA SPORTS Rory McIlroy PGA TOUR should make sure they are teeing off sooner rather than later. EA has announced that the golfing game will be removed from the service before the end of this month. Alongside other online service shutdowns scheduled for this year for a mixture of companion apps and website services, there was a short statement about the game's removal. EA Access members, please note that we are removing EA SPORTS™ Rory McIlroy PGA TOUR® from the EA Access Vault on May 22. On this date, the game will no longer be available to download or play from the EA Access console app or the Xbox Store. It's slightly unclear with that wording, particularly with the mention of the Xbox Store, whether the game is disappearing completely or just from the EA Access service. We're assuming the latter because it's unlikely that it would be removed from only one platform, but anyone craving a round of golf on Xbox should perhaps make sure to pencil it in before May 22nd, just in case. We've got the full list of EA SPORTS Rory McIlroy PGA TOUR achievements - check the list for guides to unlocking them. Check out our Best Xbox One Sports Games Available in 2019 article for a compilation of other great games in this genre. Just one of the fine Newshounds on TrueAchievements. An achievement hunter, and a lover of all kinds of games.